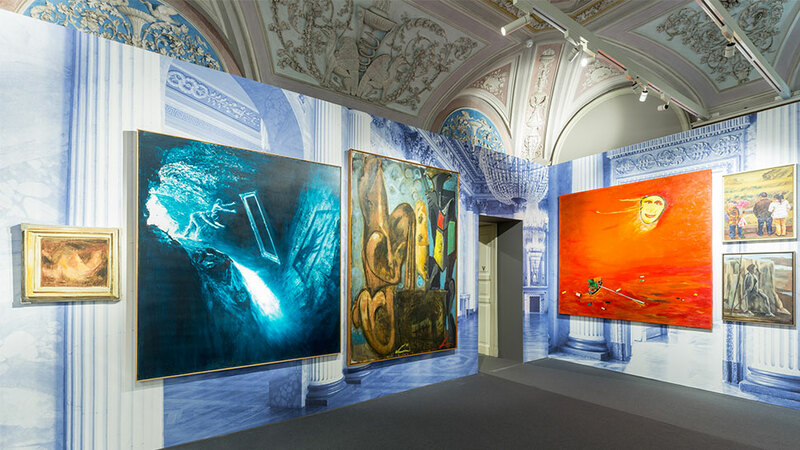 Lighting in art galleries, museums and other spaces where works of art are displayed requires considerable attention to both the type of light used and its distribution. The purpose of the light may be simply to facilitate viewing of the objects on display, or it may be required to enhance their appearance. It may also play a role in highlighting and complementing the architecture of the building itself. Additionally, factors such as running costs, energy consumption and carbon emissions must also be taken into account. At the same time, care must be taken to ensure that the light does nothing to damage any materials that may be vulnerable to light of certain wavelengths. Reggiani’s comprehensive range of lighting products, combined with our in-depth knowledge and experience of lighting works of art, enables us to provide the ideal, tailored solution for each application. In doing so, we take account of the light sources to be used – in terms of their colour temperature, colour rendering and energy consumption – and the luminaires that will combine the required light distribution with an appropriate visual appearance. Where appropriate, filters are also deployed to remove ultraviolet or infrared radiation, or different colour effects. Reggiani solutions also take account of the requirement to reconfigure such spaces on a regular basis by providing the flexibility to easily adjust the lighting within each space. For example, our Interchangeable Optical Systems enables the optics of luminaires to be changed with the minimum of effort.